AGP began as a personalized wedding gift and accessories company in the early nineties and soon realized we had a niche business creating meaningful gifts for customers inside and outside of the wedding gift arena. Listening to our customers, AGP has expanded our line of personalized gifts to include baby`s birth, anniversaries and birthday`s, home décor, friendship, holiday`and more. 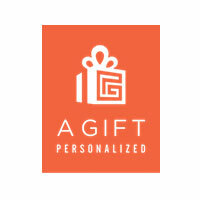 Recognized for our quality, service and selection, AGP has become a leader in personalized gifts nationwide.